77-year old Valerie Vandervelden felt calm leading up to her scheduled heart procedure. She fully trusted Dr. Albert Chan, the interventional cardiologist who would be providing a drug-free option to lessen her risk of stroke. But as Valerie was brought into the cardiac catheterization lab, the Coquitlam resident was surprised at the large number of people standing by. She soon learned she was about to become part of Royal Columbian history, thanks to donors to Royal Columbian Hospital Foundation. 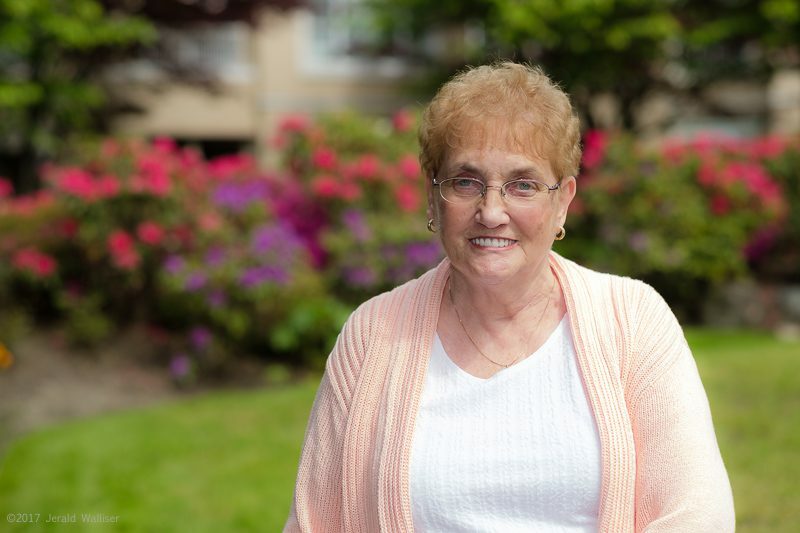 For years, Valerie had been dealing with atrial fibrillation – an irregular heartbeat. She had a pacemaker installed many years ago. But ongoing episodes put her at a higher risk of developing blood clots. Blood thinners are typically the first line of therapy. But that wasn’t an option for Valerie. “I have Crohn’s and colitis and diverticulitis too, which can all cause bleeding in the bowel, so I’ve been told not to go on blood thinners,” Valerie says. Valerie qualified for another option – a minimally-invasive procedure in which Dr. Chan closes off the left atrial appendage permanently. “I can deploy a device that sits there and blocks off the flow. There will be no blood going in and no clot coming out,” Dr. Chan describes. Coincidentally for Valerie, the cardiac cath lab had just undergone a donor-funded $3.3 million equipment upgrade. Among the new technology is software that fuses live x-ray and 3D ultrasound to provide real time and comprehensive images of the heart’s structure. 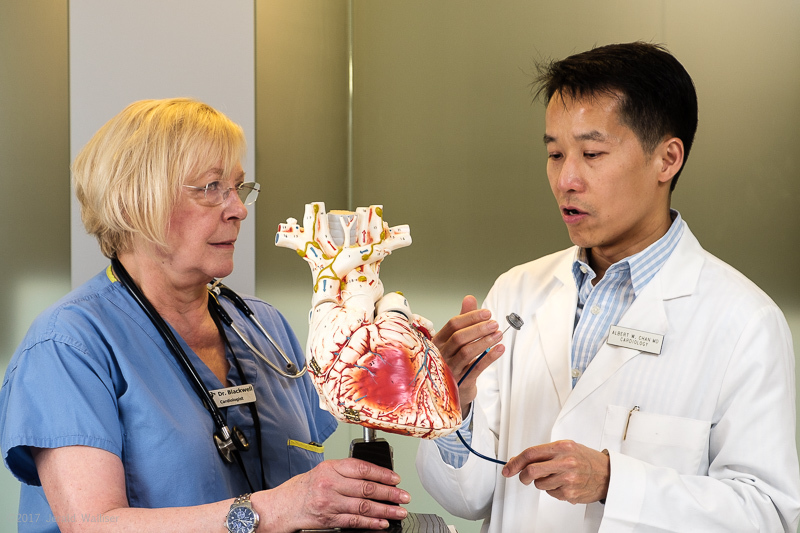 Thanks to donors (and providing an explanation for the number of observers during Valerie’s procedure), Dr. Chan believes Royal Columbian Hospital became the first centre in the country to use this technology to perform a left atrial appendage closure. Valerie says she was out of the hospital the next day and did not experience any pain.